To celebrate TLE Travel’s new Instagram account (tle_travel) we have teamed up with Jurys Inn to give you the chance to win a FREE weekend getaway at a city of your choice. This Spring, treat yourself and a loved one to an unforgettable two-night bed and breakfast break at a Jurys Inn hotel of your choice! Whether you’re planning a romantic city escape or a shopping trip with a friend, Jurys Inn offers the very best in comfort and style. Make the most of the longer days with this fantastic chance to explore the most vibrant towns and cities across the UK and Ireland. That’s it, Jurys Inn will do the rest! Offer ends on Sunday 15th April 2018! Jurys Inn hotels are each hand-picked for their prime location close to the country’s top attractions, amenities and transport hubs. Guests can look forward to enjoying spacious, comfortable bedrooms featuring the exclusive DREAM bed by Jurys Inn, complimentary WiFi, delicious buffet breakfast, an all-day Costa Coffee Bar and modern Bar and Restaurant serving a wide range of tasty dishes daily. Located just a short distance away from the historic city centre, the Oxford hotel is a true jewel in the Jurys Inn crown. 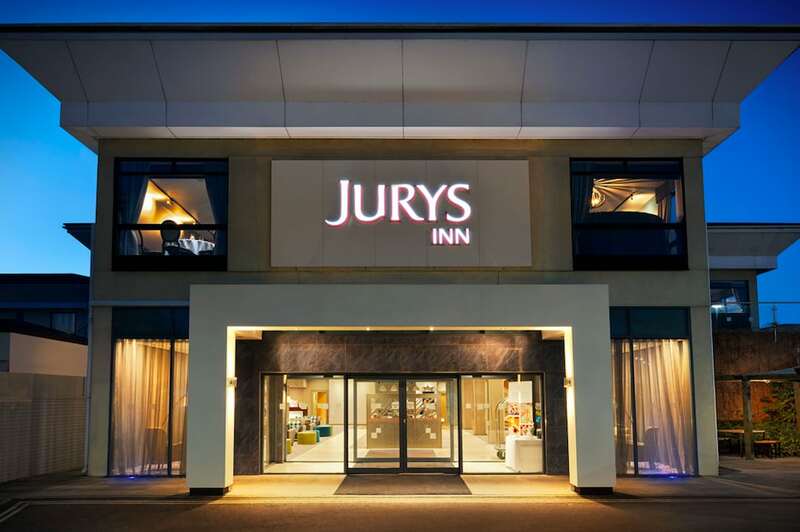 Complete with its own Costa Coffee bar, the brand-new Marco Pierre White Steakhouse Bar & Grill and Juvenate Health & Leisure Club, Jurys Inn Oxford incorporates a bright, contemporary décor, chic furnishings and overall stunning set up for a great weekend break. Relax and unwind after a day exploring all that Southampton has to offer. Be it a day at Peppa Pig World with the little ones, cheering on your team at St Marys Stadium or a trip out on the water, the recently refurbished hotel gives a stylish nautical nod to the history of the city with an ocean-inspired interior and provides the perfect city escape. Forever a favourite with Beatles fans, Liverpool is a cultural hotspot for many reasons, and more so as the city celebrates the tenth anniversary of its European Capital of Culture reign. Following a huge refurbishment, Jurys Inn Liverpool is located at the Kings Waterfront in the iconic docks, complete with wonderfully stylish and spacious bedrooms and delectable Oddsocks Bar & Kitchen which offers an extensive and exciting menu. You can also save up to 25% off your next break with the Jurys Inn Easter rates on stays from 23rd March 2018 to 15th April 2018 when you book at least seven days in advance. With great savings available on that dream getaway, weekend shopping trip, or a city break you’ve been thinking about, thanks to Jurys Inn and TLE your Easter hunt is over.